Leather accessories store The Belt Shop has three locations in Singapore, including one within Compass One mall (1 Sengkang Square). Visiting one of the stores, you’ll discover a wide array of high quality leather accessories to choose from. In addition to leather accessories, the stores also have luggage from international brands (from France, USA, Belgium, etc.) for your everyday and travel needs. 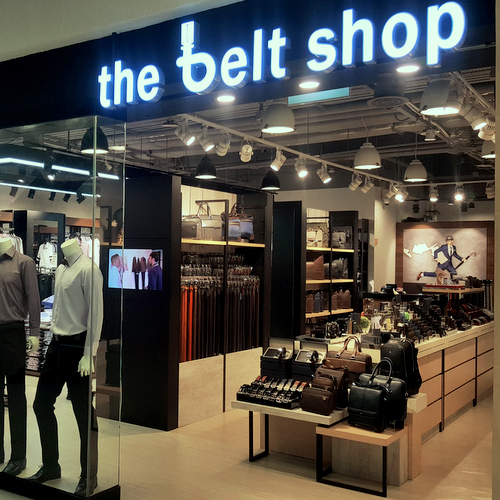 The Belt Shop is owned by Travelite Holdings, a leading lifestyle brand management company in Asia. Travelite Holdings represents more than 20 international brands, either as a licensee or distributor, across various parts of Southeast Asia.